The University of New Brunswick and Saint Thomas University African Student Union provides a strong voice towards the realization of unity for the African students within the university community and beyond. In order to achieve this great goal, we organize activities on campus each year gathering all African students and others who are linked to the continent by way of ancestry, research, experience, or interest. These events include the celebration of the African Night, which is a major event on campus. Proceeds from this event are used to support other charitable organizations and for the running of the union. For more information about our activities and how you can get involved to support this laudable service, please contact: asu@unb.ca. Over the years, an increasing number of Bangladeshi students have joined the University of New Brunswick (UNB) in Fredericton. We, therefore, felt the need to have an organization that would help new Bangladeshi students settle in comfortably and also bring the whole community together. Established on September 15, 1998, through this organization, we hope to promote Bangladeshi culture and values to the UNB community and the city of Fredericton. The BSA consists of, but is not restricted to, students from the country of Bhutan as well as those wishing to affiliate themselves with the BSA. For more information, contact the BSA at bhutanunb@gmail.com. The Chinese Students and Scholars Association (CSSA) is a non-profit organization for overseas Chinese students and scholars registered at the University of New Brunswick. CSSA is mostly responsible for helping away-from-home Chinese with their life, studies, work, and other issues. CSSA also serves as a bridge between the Chinese and other communities, spreading Chinese culture. Club Japan is a UNB/STU cultural club whose primary goals include: facilitating cultural exchange between Canadian students interested in Japan and Japanese exchange students in Canada, promoting the use and study of the Japanese language, and providing a meeting point for for such exchanges to happen. The UNB German Club is a platform for all students that are interested in Germany and the German culture. If you are interested in joining the club, please contact: unb.germanclub@gmail.com. The Indian Student Association (ISA) is the community and social group of all the students who are from the resourceful country of India and of Indian origin. ISA at UNB has a long and interesting history. 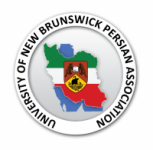 It was the first international student association in the University of New Brunswick. Born amidst controversies in 1962, ISA had to explain to the local community that the formation of the association was not for ethnic isolation but an expression of rich culture and heritage of India. The reason was later well accepted and supported by all. ISA was also the mother of another organization known as the South Asian Society which was formed in 1997. Any one who wishes to join the ISA are more than welcome, to know and enjoy the richness of India and its masses. If you have any questions, feel free to email unbia@unb.ca, or take a look at their website for more information. During the year, we organize social events as well as cultural events. We have movie nights, fiestas, cafe oles, dance performances, etc...We are all about socializing and are very enthusiastic, so come out and join us....ARRRIBA!!!!!!! Malaysian Students Society is a society to help members in all aspects as international students. The society organizes events internally for MSS members as well as to the public to promote the culture and diversity of Malaysia. This society is not only open to Malaysians, but all residents of Fredericton who express an interest in Malaysian Culture. OCSA aims to embrace all those students of Chinese ethnic origin, irrespective of their nationalities, or countries of birth, or countries of naturalization. Come out and have fun with us! Thai Association of New Brunswick (THNB) of University of New Brunswick is a non-profit student organization established in 2002 in Fredericton, New Brunswick. Since then THNB membership has grown to not just include the Thai community in Fredericton but also people of all nationalities who are interested in Thai culture and way of life. To Represent Thai students in activities and official requirement of UNB and City of Fredericton. To Promote an awareness and appreciation of Thai culture and heritage to the UNB and Fredericton Community. To Provide members of THNB with an opportunity for social development. The UNB International Student Association (UNBISA) represents the voices and interests of more than 1,000 international students on the UNB Fredericton campus. The UNBISA is here to offer support and promote the roles of international students within the UNB Fredericton community. With exciting events and programs, we are aiming to enhance our students’ university experience and the integration of international cultures within the university community. Remember, we’re not just for internationals. If you’re a Canadian and interested in learning about different cultures, you are more than welcome to join us!